"This is Mr. Orwell’s picture of the way the world ends," Diana Trilling wrote in The Nation of 1984, "a perpetual nightmare of living death." When 1984 was published 66 years ago today, The Nation assigned it to Diana Trilling, who had been the magazine’s regular book reviewer for the better part of a decade, assessing the works of writers like Jean-Paul Sartre, Saul Bellow, Katherine Anne Porter, Sinclair Lewis, Truman Capote, Elizabeth Hardwick, Vladimir Nabokov, Anais Nin, Dawn Powell, Evelyn Waugh, and Carson McCullers. “There was nothing light-mindedly fashionable about reading The Nation,” Trilling wrote in her 1993 memoir, The Beginning of the Journey. “It was an obligation of intelligence.” The following review of 1984 is included in our collection Surveillance Nation: Critical Reflections on Privacy and Its Threats, published last year. Although George Orwell’s “Nineteen Eighty-Four” (Harcourt, Brace, $3) is a brilliant and fascinating novel, the nature of its fantasy is so absolutely final and relentless that I can recommend it only with a certain reservation. This is Mr. Orwell’s picture of the way the world ends: actually it does not end at all, physically—one would even welcome some well-placed atom bombs—but continues in a perpetual nightmare of living death. 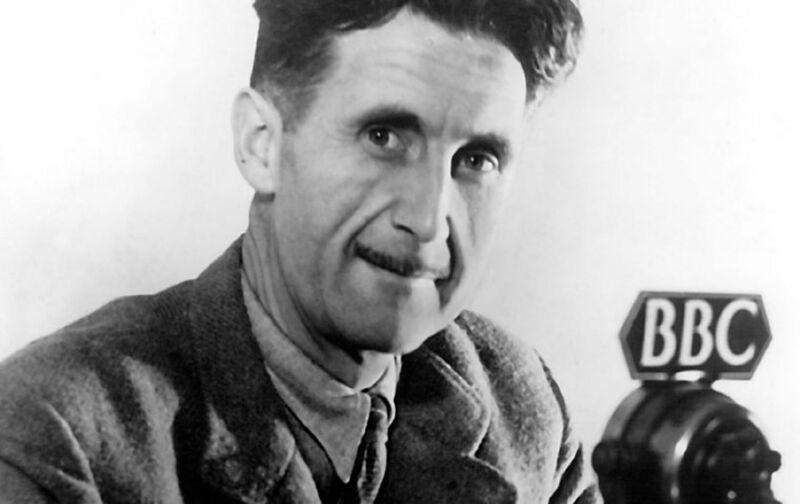 Thirty-five years from now, according to Mr. Orwell’s grim calculation, there will be three great powers on this planet, any two of which will be constantly at war with the third, not for ascendancy but in order to maintain the political and economic status quo—“War is peace,” as the party slogan has it. For the rulers of the future state it is enough that people are allowed to exist; their welfare—in any sense in which we understand the word—does not have to be taken into account. The dehumanization of man has reached its ultimate development. Love, art, pleasure, comfort, the sexual emotions, have all been recognized as the consumer products of a society based upon the freedom of the individual, and they have been liquidated. Life—if it can be called life—goes on only so that power may go on.